When we discovered our Free App of the Day we were blown away by the original artwork and unique storyline. 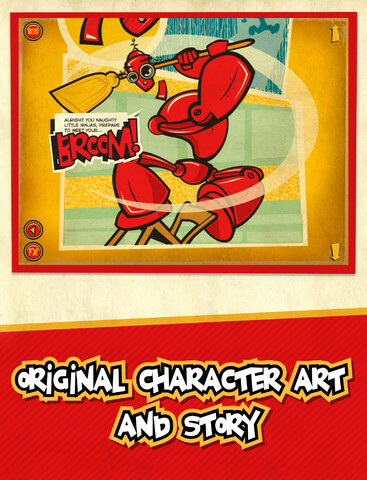 Kung Fu Robot is the first three chapters of an epic saga presented in a super-cool comic book format. There are a ton of interactive extras, like the “Whack-A-Ninja” mini-game and a sound effect storyboard.